Are you concerned with getting a great return on your UBC home when you decide to sell? The market may seem like it is beneficial for buyers, but there are many things that you can do as a seller to keep your home updated that will ensure that you get a great return on your investment. Certain rooms, like the kitchen and bathrooms, speak volumes to buyers. Neutral colored walls and adequate lighting will also bring more offers on your piece of property. Replacing the flooring might be a more expensive investment, but it will increase your home value. Before you make the choice to sell, consider the current condition of your home and pinpoint areas in which you can make simple renovations that will yield large benefits. 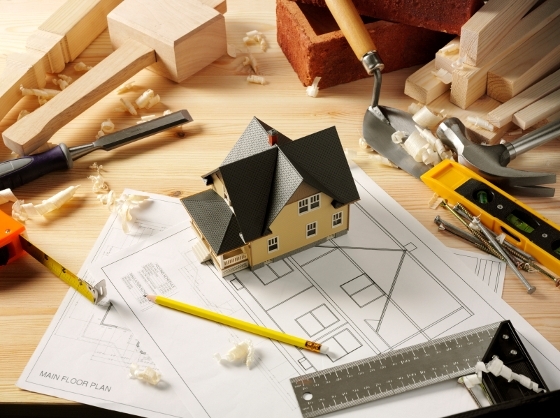 Here are some tips on the best renovations that you can make in your home before placing it up for sale on the market. Studies have shown that the kitchen is one of the rooms in the house that can make or break your investment return. If your kitchen is cluttered, outdated or visually unappealing to many types of people, your home might be more difficult to sell. Make repairs to plumbing or cabinetry and anything that could compromise the function of the kitchen. Even if you do not have the budget to replace your appliances, having them professionally cleaned will help them to look their best. If your walls are not painted a neutral color, new paint is a great investment. Outdated cabinets can turn away buyers. There are many options for renovating your cabinets without breaking the bank, such as refacing or painting. Your buyers might have their own color palette in mind while touring your home. As such, it will be much easier for them to see their vision in your space if the walls are painted in a neutral color. Tan, light grey or pale yellow are great color options. Be sure to give your trim or crown molding attention as well. Replacing old fans and light fixtures can make your home much more visually appealing. It will also give you the opportunity to find fixtures that brighten your rooms better than the existing. Light is one of the best tools to use during staging. If your existing lights are no longer lighting up your space as well as they once did, this is an area in which renovations are worth the investment. Selling your home in the summer can call for a little more finesse than most people expect. While spring is the absolute best time to put your home on the market, summer surprisingly trails in third behind fall. Many potential home buyers are simply too distracted between vacations, the kids being out of school and other seasonal priorities. Spring has a habit of making any lawn look great since rains are abundant and vegetation appears to pop out of nowhere. Keeping those lawns and flowers beautiful for the next several months can be more of a trial, though. Make sure you remove as many “clutter” plants as possible from your garden beds and yard in order to give your landscape a clean, organized appearance. Plant low-maintenance flowers like marigolds and impatiens to give your lawn a dash of color. Water your plants regularly, and give your grass a trim around once a week. Taking initiative like this keeps plants from dying or weeds from taking over. Use only light curtains, and find ways to get windows open on days with mild temperatures. Ideally, you will want to keep your home cool without having to blast the air conditioner, which can feel unnatural. Turn on some ceiling fans, open some windows and rearrange furniture to encourage the flow of light and soothing breezes as people view your home. Of course, feel free to keep the windows shut when it climbs above 25 degrees to prevent your home from feeling muggy rather than pleasant. 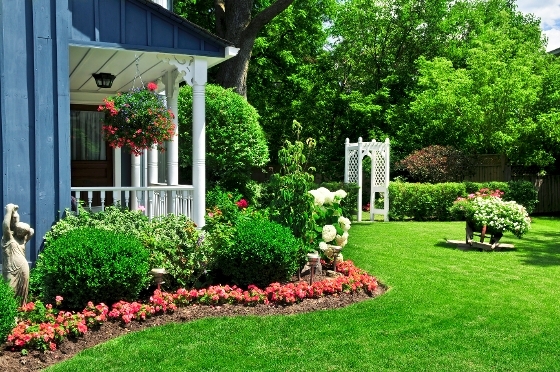 Your biggest asset during the summer is a lawn, porch or patio area that looks inviting. Get these outdoor areas as clean as a whistle and arrange some charming porch furniture to encourage home viewers to linger and enjoy the weather. You can also stage areas of your lawn with a garden fountain, flower beds, stepping stones and a well-placed bench as an effective display. Another summertime asset are the long daylight hours. People with busy schedules may be more willing to show up around the evening considering the sun will still be out at the time. Be accommodating with these rather late appointments to boost your odds of warming a buyer up to the idea of a summer sale. Strategies like these are sure to impress, but remember that only an experienced UBC real estate agent will be able to find an ideal buyer and pitch your home’s strengths to them in the best light possible. Visit our sellers page to discover just how valuable our agents can be when selling your home in the summertime.